Hiroshima Big Arch, currently known as Edion Stadium Hiroshima for sponsorship purposes is a multi-purpose sporting arena primarily used for home matches of the J.League Football club Sanfrecce Hiroshima. 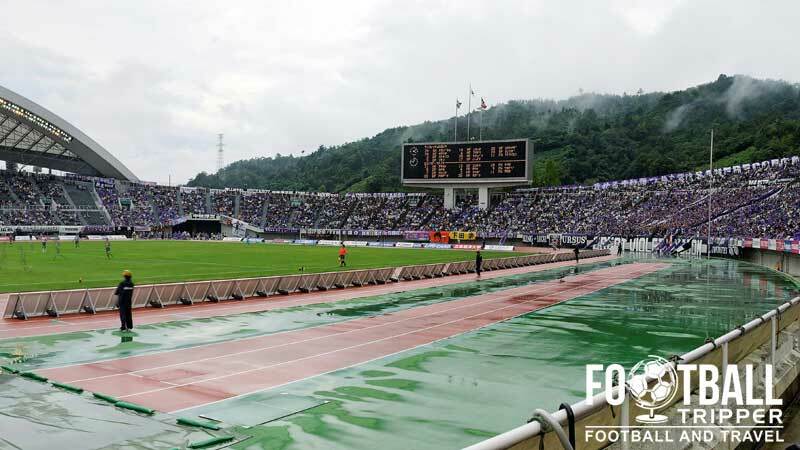 The Big Arch Stadium was built in time for the 1992 AFC Asian Cup which was hosted by the city of Hiroshima. One of three venues for the football tournament, Japan defeated defending champions Saudi Arabia 1 nil in the final which was played at the Big Arch. Despite being inaugurated with a football tournament, Hiroshima Big Arch is actually designed as a multi-purpose sports venue. Municipally owned Hiroshima Big Arch features anathletics track and other facilities around the perimeter of the pitch, and was clearly constructed with one eye on the 1994 Asian Games. 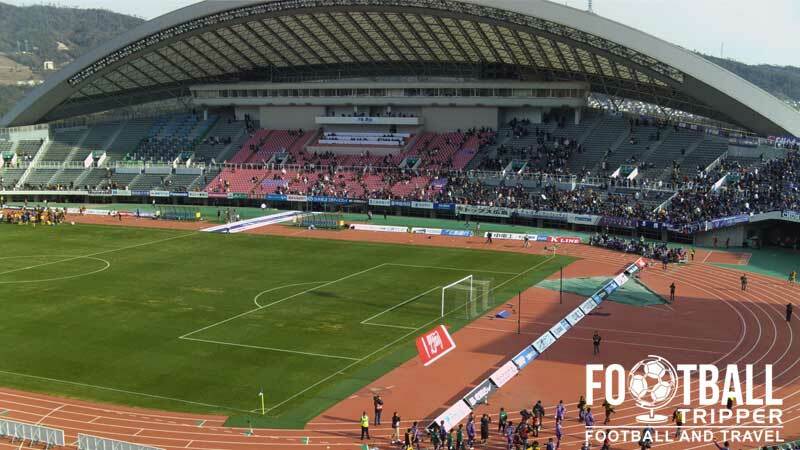 Home to Sanfrecce Hiroshima, the average attendance over the years is yet to exceed 20,000 which means that the Big Arch is typically never more than half-full. 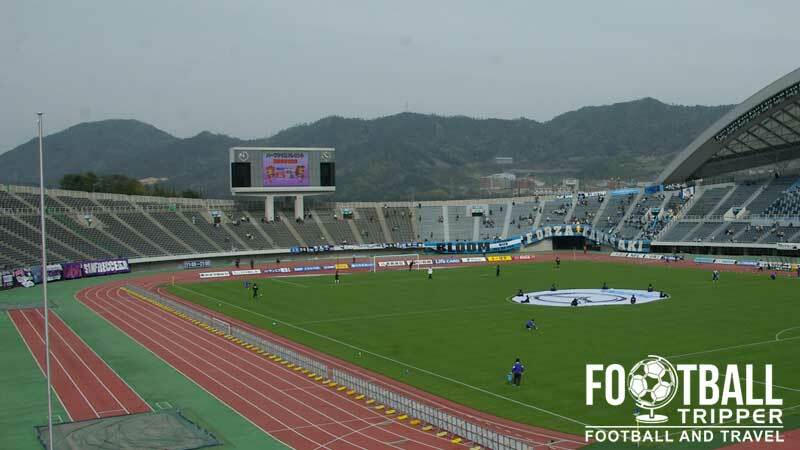 Overlooked as one of Japan’s 10 host venues for the 2002 World Cup, the highest level of football played at the stadium is arguably the AFC Champions League. 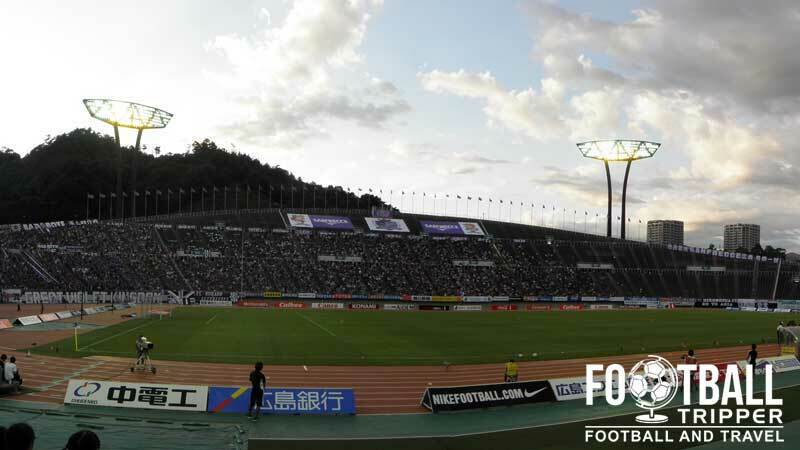 The most successful Asian campaign to date was in 2014 when Sanfrecce reached the Round 16 after qualifying from a group containing FC Seoul, Beijing Guoan and Central Coast Mariners. The ground is currently known as Edion Stadium Hiroshima after the Japanese electronics retailer chain signed a three year deal starting in November 21st 2012. The Big Arch consists of the following four stands: North, East, South and West.